Charming four bedroom villa is located in a quiet coastal area of ​​cape Cavo Greco. For those looking for a place that blends with the style, luxury and charisma, as well as offers space, privacy and comfort of home furnishings - a great choice. .. 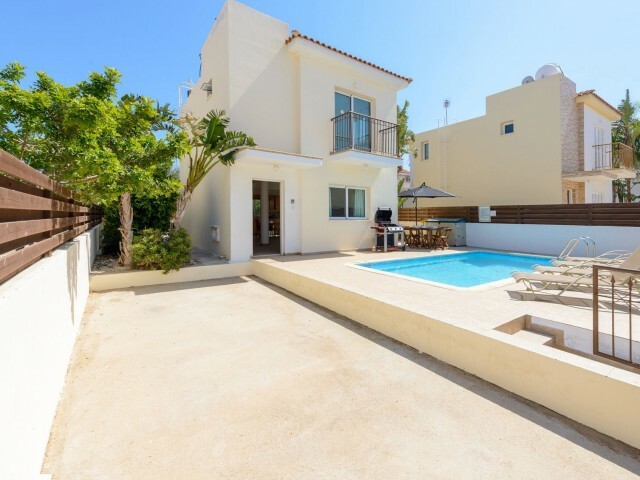 Fantastic 3 bedroom villa with private pool in the center of Ayia Napa. It is just a five minute walk from the beautiful Nissi beach and a three minute walk from the shops, bars and restaurants. The villa is beautifully furnished, air-conditioners.. This luxurious three bedroom villa offers a magnificent view of the sea. Unique in its design, spacious villa is furnished to a high standard with granite work surfaces, with air conditioning and heating, wireless Internet access throughout. All y.. 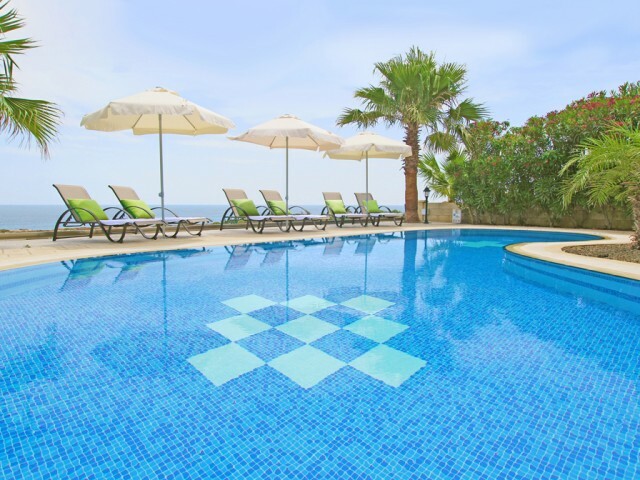 The villa is situated in an ideal location in the heart of Protaras, just a short walk from the famous beach of Fig Tree Bay and Flamingo Bay beach with golden sand. Large outdoor swimming pool, BBQ and outside shower. All amenities are within wal.. 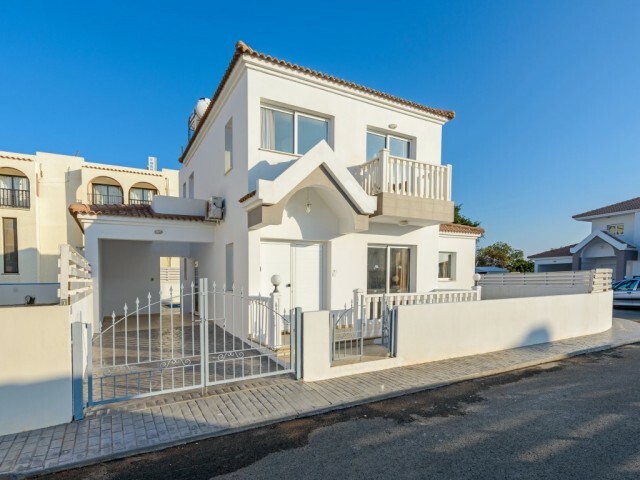 Luxury four bedroom villa in the popular district of Ayia Napa. A few minutes drive from the beach, local attractions, supermarkets, bars and restaurants, fruit markets and water sports. The villa itself is very spacious villa is suitable for fami..
Three bedroom villa in Protaras, 150 meters from the sea. A large number of attractions and shops are just a 3 minute drive away. Private swimming pool, mature garden, garden furniture, garden furniture, outdoor shower, parking, barbecue area. 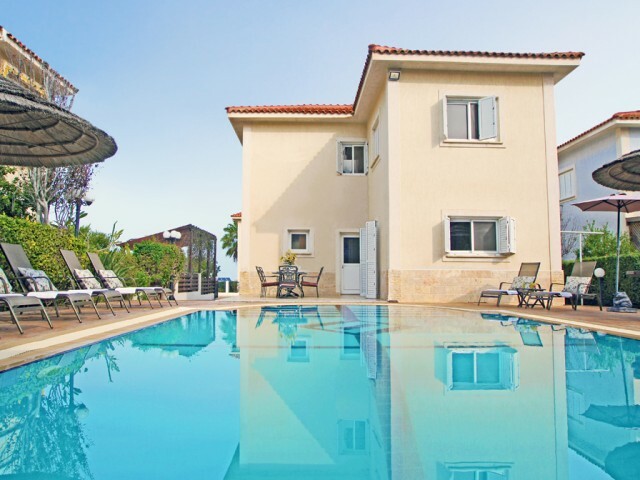 The..
Three bedroom villa in Ayia Napa is located not far from the famous beach of Nissi Beach. Spacious villa with a good location, guests of the villa a car is not required as all amenities are close within walking distance. Private swimming pool, gar..
Three bedroom villa is located in Protaras area Pernera. Within walking distance from the beaches and the city center. In the complex a common swimming pool. 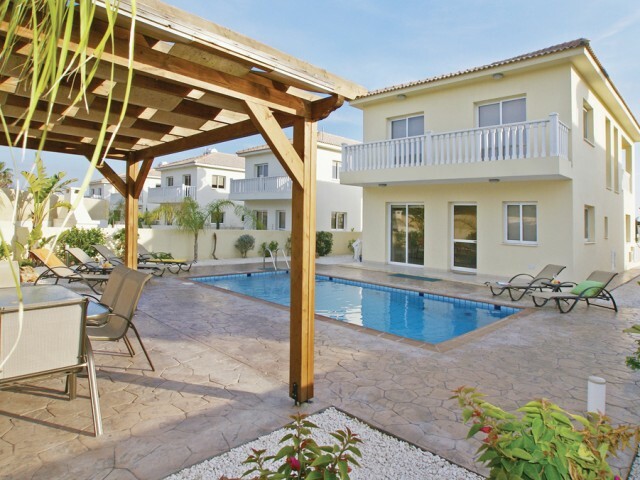 The villa has parking, garden, garden furniture and barbecue area. On the ground floor li.. The villa is located a 3 minute walk from the famous beach Konnos Beach in a gated complex. Private swimming pool, mature garden, barbecue area, garden furniture, the roof is equipped with lounge chairs for sunbathing. The villa is fully equipped .. 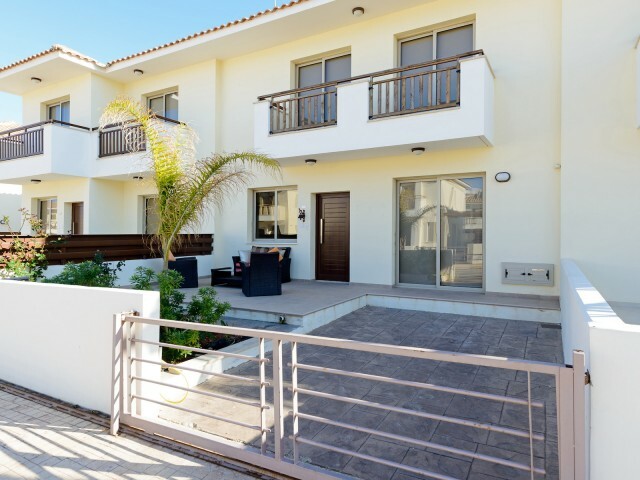 The modern, well equipped villa with 3 bedrooms in Protaras. The villa offers plenty of amenities to make your stay as enjoyable and memorable. Ideal location, within walking distance from popular beaches, local bars, restaurants and shops. Covere..